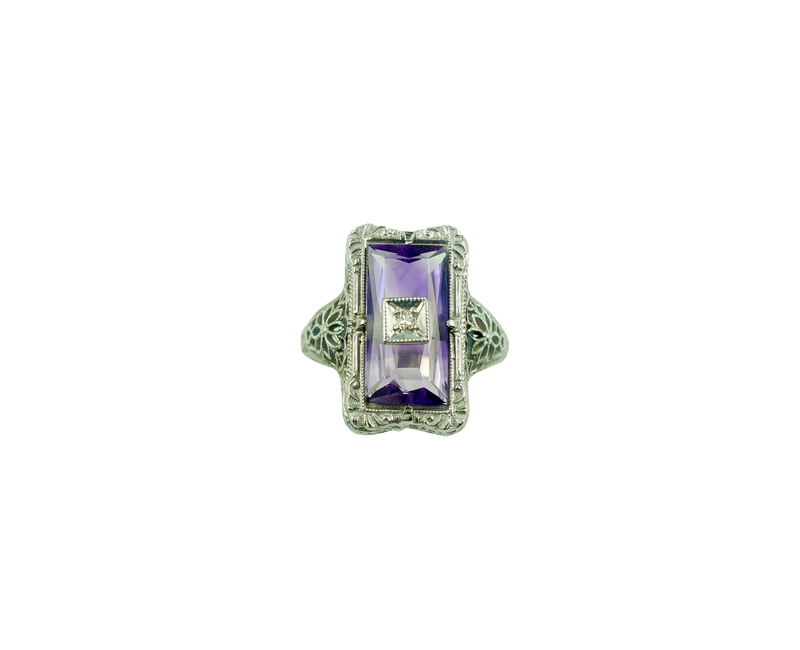 A great example of the fabulous work done by American jewellers in the 1920’s. 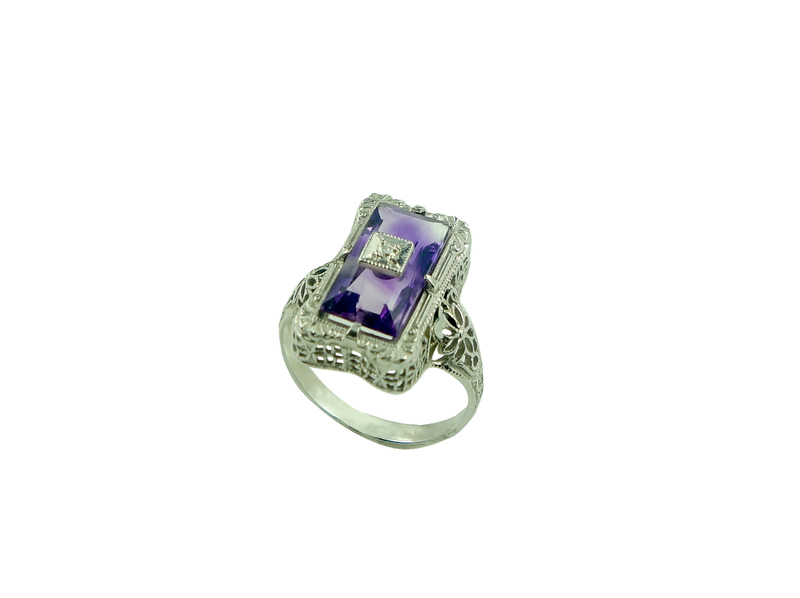 Note the finely pierced setting and expertly cut amethyst, with a diamond set to the centre. Amethyst is the birthstone for February and aside from warding of drunkenness, according to folklore this stone will make you quick witted in business. Whats not to love! 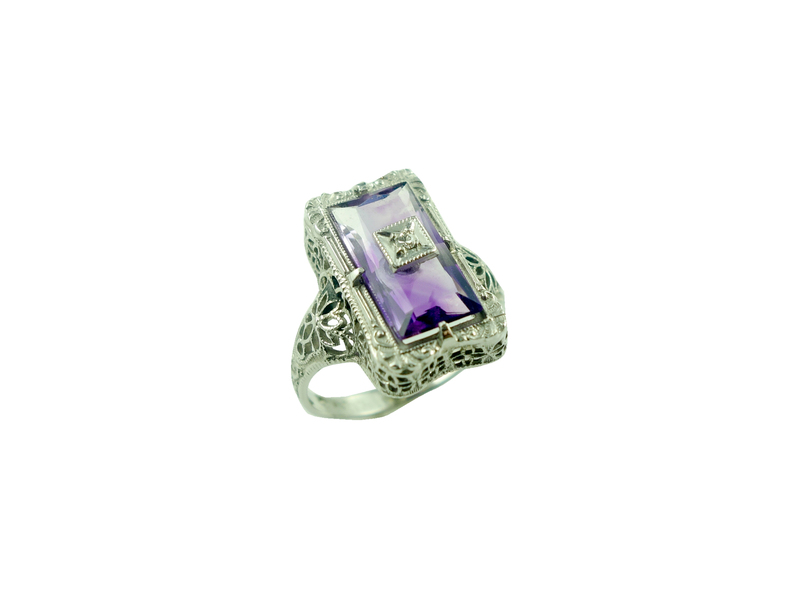 Amethyst varies in colour, but this one has a deep royal hue, and is a nicely saturated stone. Condition: Ring is in excellent condition. 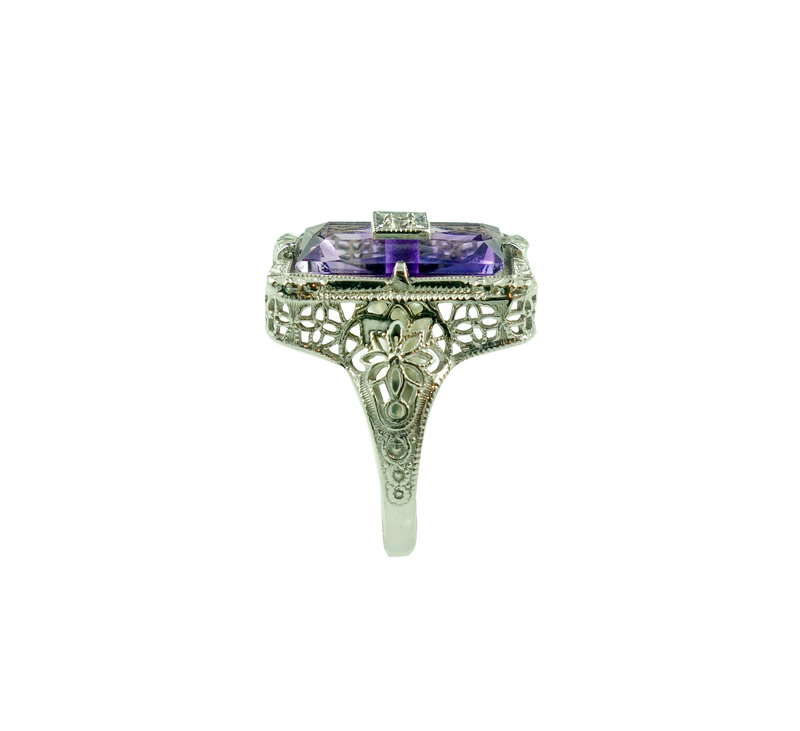 The fine filigree work is all intact, as are the claws and the mille graine around the diamond. The shank shows no sign of wear.